and this scan was found on Mt submitted by Tatsuya. wow!!! very pretty!!! i like it very much!!! i like the image and the background, very good job!! Great wall. I like the night sky and the sparkles. But, the scan creeps me out a little. No idea why??? Anyway, good job and thanx for sharing. i love how you did the wings and the dust trailing her as she fly. Hei !!! your picture is very good and amazing !!! I like it very much !!! Keep it up !!! Wowies, really beautiful wallpaper! I like the clouds, really nice texture and colours. The extrractions could use a littel work, mostlyy around the hair area but those are the hardest to clean. The moon has really great texture! The concept is really awesome! Nicely done! Start working with bigger resolution, it'll look more fantastic! Awesome work! wow i never seen a scan like that before. its kinda twisted. 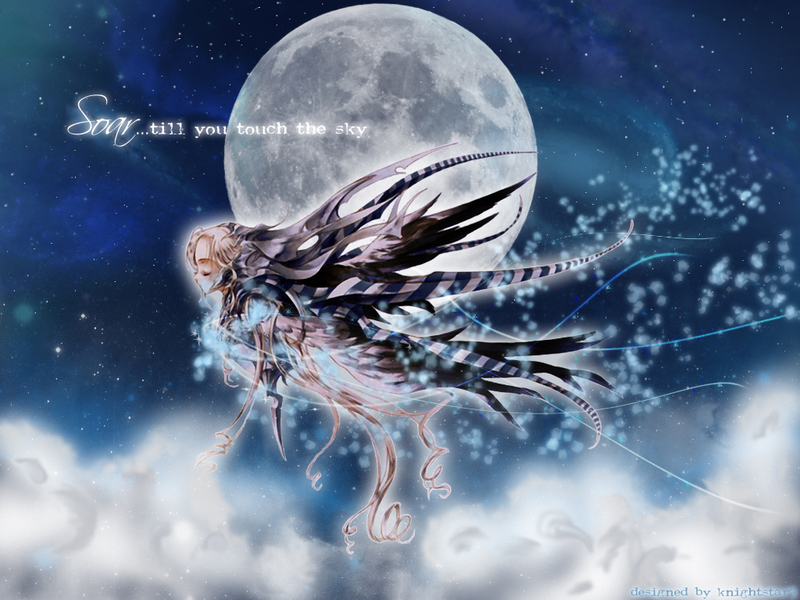 ^^' nice bg and everything. makes me wonder if such thing fly over the sky. wow! realy nice wallpaper!! i realy like the colors and the background! The background is beautiful with the image and colors all working so well together. Great job!